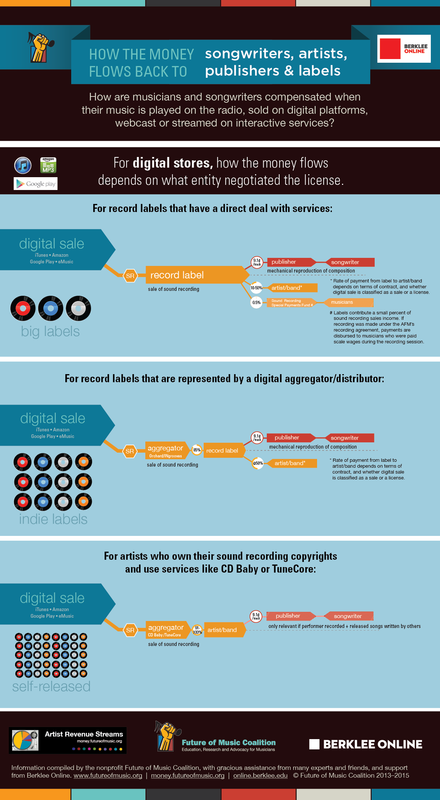 The music industry relies on royalties generated by the licensing of copyrighted songs and recordings as a primary form of payment for musicians. Intellectual property law and licensing systems have gone through significant adjustments over recent years as a result of the rise of digital music, but much of the industry's historic legal framework remains. To start thinking about music in legal terms, it's important to realize that there are two types of musicians: songwriters and performing artists. These hold two distinct copyrights: songwriters hold the rights to the lyrics and melody of a piece of music, while performing artists hold the rights to a particular recording of a song, which is called a master recording. 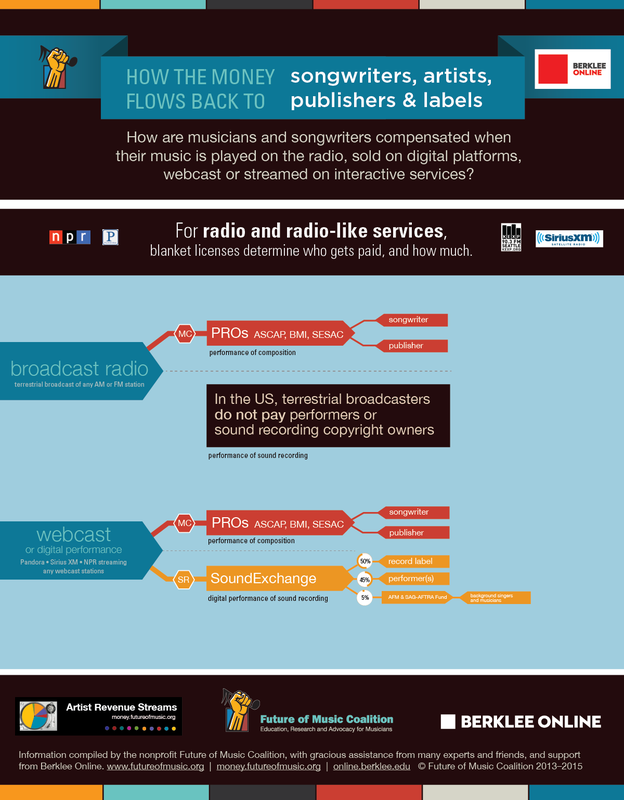 Songwriters may only seek copyright for a full song, and cannot divide lyrics and melody into separate rights. Performance Rights Organizations or PROs (in the US that’s BMI, ASCAP, and SESAC) collect songwriting performance royalties from music users and then pay songwriters and rights holders (publishers). Spotify pays about 10% of its revenue to songwriters (split between mechanical and performance royalties) and about 60% to the artists. Services like Spotify don’t have to negotiate with songwriters because the government sets the rates – through the consent decree for PROs and a compulsory license for mechanical licenses. Now that you have a firm grasp of how music copyrights work, you should create a free account to view all of the music royalty assets we have up for auction on the site. You can create your free account in less than two minutes by clicking the button below.